1. Free drug rehab helps those who wouldn’t have attended rehab otherwise to get a chance at recovery. 3. Free drug rehab provides all the same medications, therapies, and treatments of other facilities so that those who do not need the extra luxuries can still get treatment. 4. Many free drug rehab facilities are run by the government or a non-profit organization so that there is less interest in making money off of the patients. 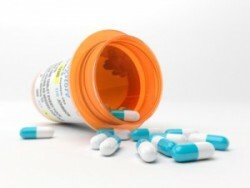 Free drug rehabs prescribe the same medications as alternative facilities. 5. The NIDA states, “Remaining in treatment for an adequate period of time is critical,” which may be more possible for those with financial issues if they attend free drug rehab. 6. Concurrent mental disorders can often be treated in rehab centers where otherwise they might go unnoticed. In many cases, these disorders feed into drug abuse and vice-versa. 7. Medications that patients can receive in free rehab centers are monitored by doctors and dosed specifically so that patients are not able to abuse them. These medications can also reduce cravings, curb withdrawal symptoms, and help patients focus more on the other aspects of their treatment. 8. Behavioral therapy is available in nearly every rehab center, and it is extremely beneficial to patients. As it teaches them a new way to look at their drug abuse, they are able to change their feelings about their own addictions. 9. Rehab centers especially help those who have poor or no support system at home as the nurses, doctors, therapists, and other patients provide the individual with support. 10. Attending formal treatment for an adequate amount of time can help prevent relapse in patients who leave with a stronger recovery. 11. Free rehab also helps patients lead better lives afterward, find jobs, and continue into what they hoped for their futures before the drug abuse. 12. Free rehab often offers family and relationship therapy which can help to mend the relationships that were shattered by drug abuse. 13. Rehab programs also help to reduce violence, illicit drug abuse, and transmitted diseases that unabated drug abuse can help to cause. 14. Patients begin to understand their own triggers and other issues better so that they can build a better foundation for when they go back to their daily lives. This is especially true of inpatient center patients who attend rehab for a fixed period before going back to everything and trying to continue their recovery and avoid relapse. 15. Addiction is a brain disease that no one person should have to fight on their own. Free drug rehab can help. 16. Free rehab can help you put money toward your other pressing matters while still being able to attend formal treatment. 17. Free rehab is a practical option for many individuals and although it can be difficult to find, it is incredibly worth the research. 18. It is never to late to start fighting back against your addiction. Many individuals need maintenance in the long-term and others can attend rehab for a fixed amount of time before recovery, but free rehab has many options that cater to the specific patient. Can’t Control Your Drug Cravings? How Treatment Centers for Drugs Help You Overcome and Avoid Cravings - Gain a better understanding of why drug cravings occur, what they indicate, and how treatment centers can alleviate physical and psychological symptoms. What Is A Voluntary Rehabilitation Program – And Is It Right For Me? - In most cases, a voluntary rehab program is offered as an alternative to less desirable consequences, such as jail or prison time.